Despite allegations that he has thrown things at staff and often abuses them, Bathabile Dlamini continues to defend the deputy minister. In the wake of a case of assault against Deputy Minister of Higher Education Mduduzi Manana, further allegations of abusive behaviour have emerged against the man. He appeared in court this week after admitting that he slapped, punched and kicked two women at a nightclub in Johannesburg last Sunday, but claimed one of them had brought it on by calling him gay. Mandisa Duma shared photos of her bruises with the media afterwards. 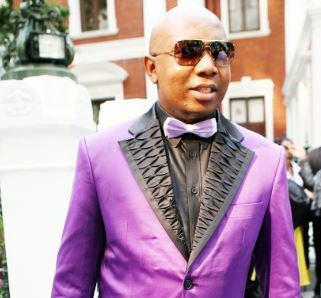 The Sunday Times has revealed allegations of years of abusive behaviour from Manana, including that he threw objects such as cellphones and diaries at his staff; ordered public sector staff to cook for him and his friends at his home; and, bizarrely, “punished” a former secretary by allegedly making her wait in the dark until 2am outside his flat in Cape Town for two hours on her own on a cold night in Winter. The paper also unearthed the fact that his former head of office lodged a complaint against him with the public protector in 2012 in which he accused Manana of abusing his power. Wonga Tababat’s complaint is reportedly yet to be resolved by the public protector. His staff told the paper they knew of a long history of abuse, “blackmail” and temper tantrums stretching back “at least five years”. His former secretary claimed that part of the abusive language he allegedly levelled at staff was the choice phrase that they were “rubbish picked up from the street”. According to the Sunday Times, Manana failed to respond to any questions on these allegations. Manana is yet to face any official sanction from government; the ANC Women’s League president, Minister of Social Development Bathabile Dlamini, told the Sunday Times there were far worse senior government leaders than Manana. She alleged the “attack” on Manana was politically based. Small Business Development Minister Lindiwe Zulu told eNCA on Sunday morning that she had worked with Manana before and had not experienced him in the way the media was characterising him. She called for the law to take its course on Manana and “from a bigger point of view”.